©Syd Eade - used with permission. Thanks to Syd for allowing me to use these great old shots from June 1975. 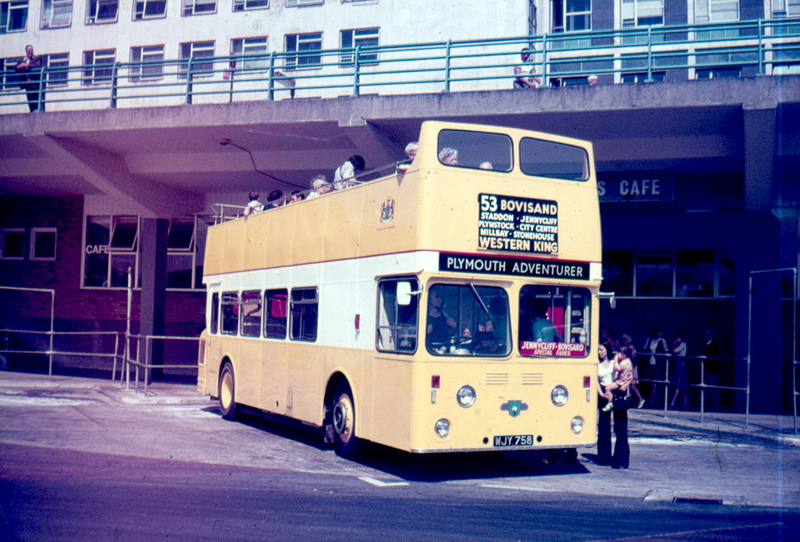 Happy days - the Bovisand trip on an Atlantean was always a real treat with great views over Bovisand and Plymouth. Bracing was the right word for it! 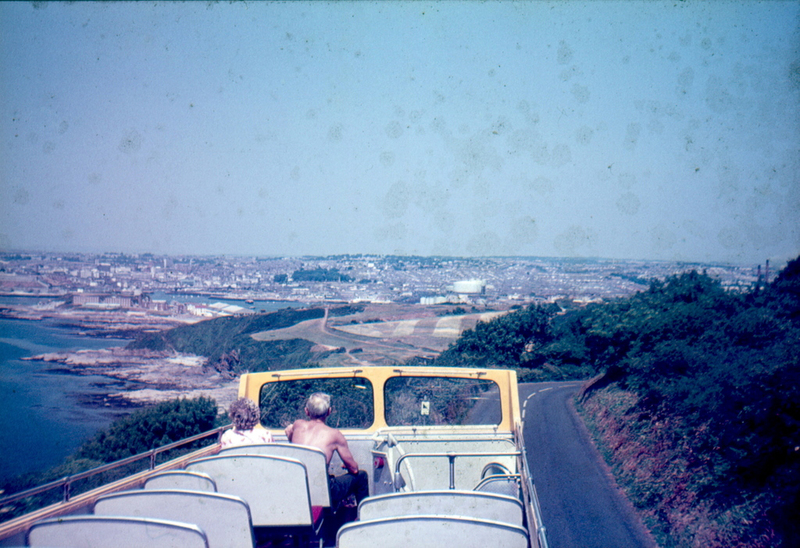 For me, Bovisand itself was always a disappointment, but the ride was a real treat. 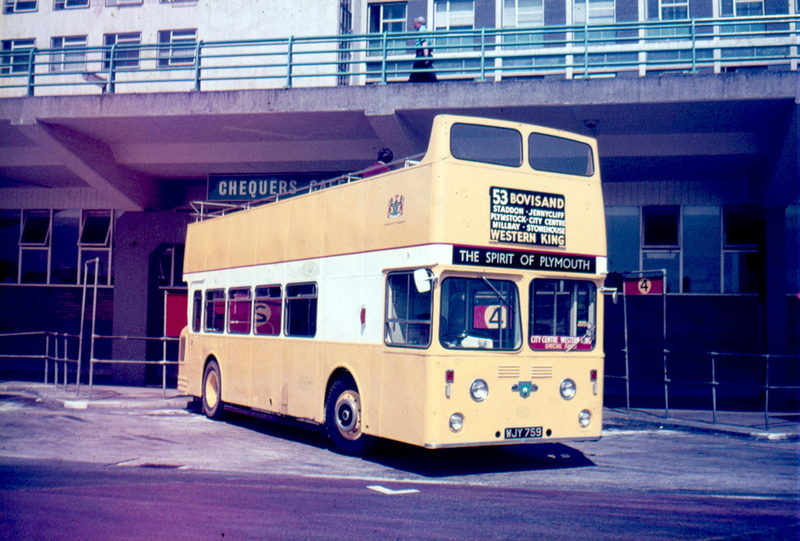 WJY758, WJY759 and WJY760 operated in open top for for Plymouth City Transport.